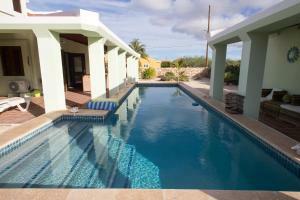 Located in Kralendijk in the Bonaire region, Cas Bon Majeti features a terrace and pool views. With garden views, this property has a swimming pool. 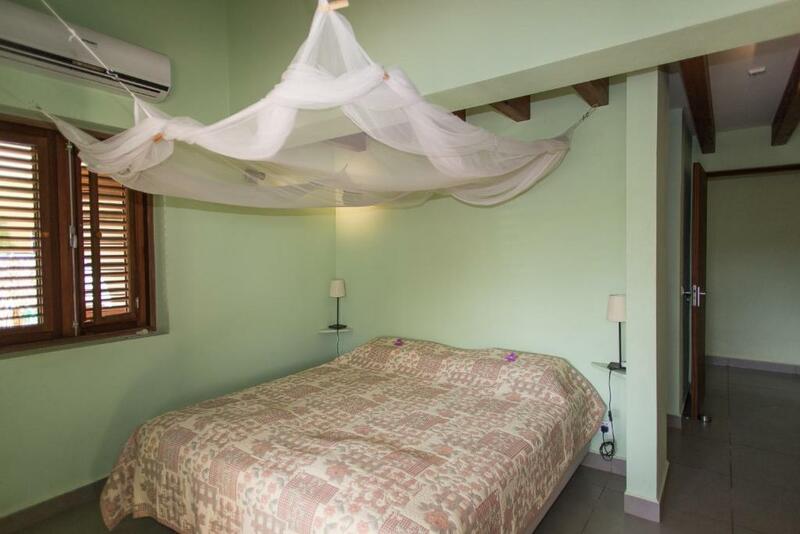 The villa has 3 bedrooms, a flat-screen TV with satellite channels, an equipped kitchen with a dishwasher and an oven, and a bathroom with a shower. Speaking English and Dutch, staff are always on hand to help at the 24-hour front desk. The villa has a grill. A bicycle rental service is available at Cas Bon Majeti, while snorkeling and cycling can be enjoyed nearby. When would you like to stay at Cas Bon Majeti? 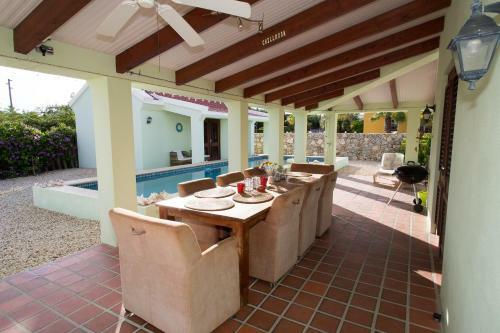 This villa features a washing machine, private pool and private entrance. "Cas Bon Majeti". 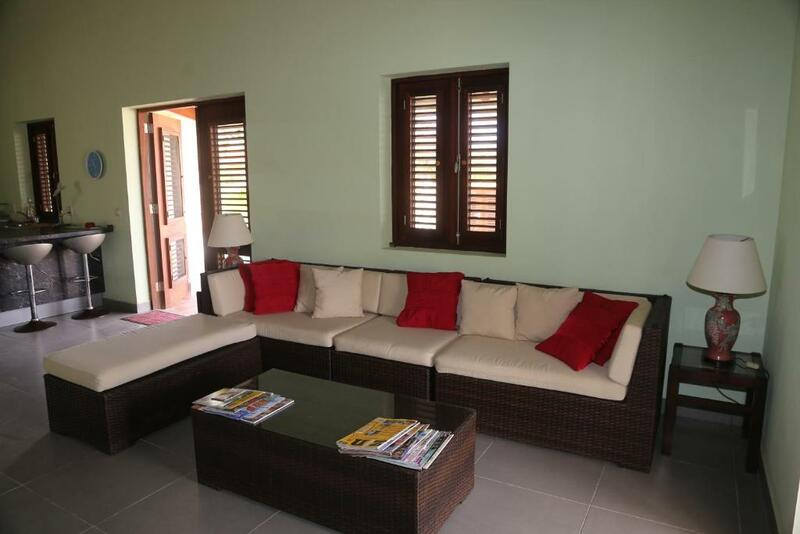 This beautiful Bonairian-style villa with private pool and separate studio has been recently built on almost 900 square meters of land. Because the house is built on the wind, all 4 porches and lodges are very cool. You are looking forward to the 'kunuku'; The green bushes and woodland area. The detached house and studio are in a very pleasant and quiet neighborhood and are surrounded by trees and plants in a large garden. 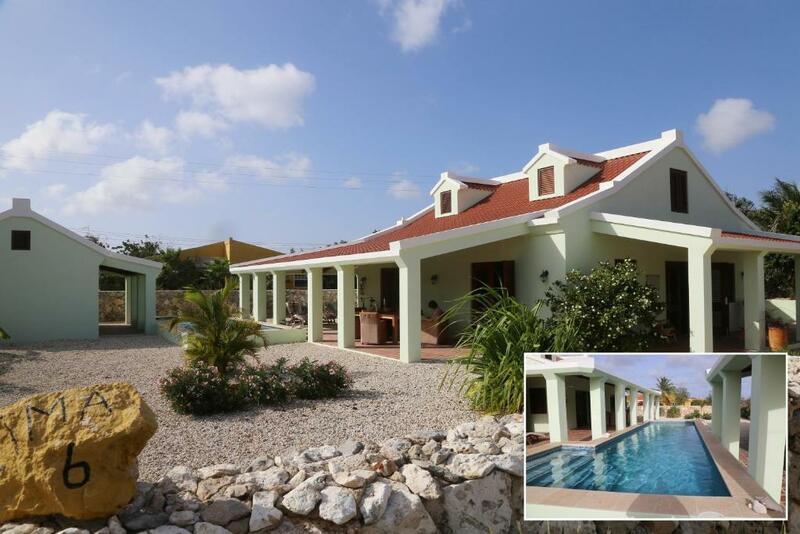 The location is perfect; In Belnem, one of the most beautiful areas of Bonaire, near beaches and only 8 minutes from central Kralendijk with its shops and restaurants and 10 minutes from Lac Bay, the windsurf paradise (Jibe City) and Sorobon beach. Up to 4 to 6 adults (including studio) can be accommodated in the villa. The combination of wind and the use of highly insulating materials ensures that air conditioning is in principle unnecessary. This significantly reduces energy consumption and is often better for your health. One of the bedrooms in the main house is air conditioned. The brothers Jeroen and Marcel were first introduced to Bonaire in 2007 and were immediately infected with the "virus Bonaire; the beautiful countryside, the healthy climate, the peace, the beautiful sea, the many diving and snorkeling, the friendly people and so on ... Bonaire is enjoy and relax! We dive and swim itself very much, but Bonaire is definitely worth discovering 'above water'. I (Marcel) tell you they loved everything about and give you lots of tips. Bon Bini! House Rules Cas Bon Majeti takes special requests – add in the next step! A USD200 damage deposit is required 14 days before arrival. This deposit will be fully refunded 7 days after check-out, as long as there isn't any damage to the property. Please inform Cas Bon Majeti of your expected arrival time in advance. You can use the Special Requests box when booking, or contact the property directly using the contact details in your confirmation. A damage deposit of USD 200 is required. The host charges this 14 days before arrival. This will be collected by bank transfer. You should be reimbursed within 7 days of check-out. Your deposit will be refunded in full by bank transfer, subject to an inspection of the property. We need at least 5 reviews before we can calculate a review score. If you book and review your stay, you can help Cas Bon Majeti meet this goal. Beautiful house, has all you need, like home. Great location, nice quiet area, still close to the city and all the services. Landlord is such a nice guy and extremely helpful. Our holiday was perfect!